With most careers you must attend a community college or university to earn a degree or qualification before you can enter the field, let alone get anywhere. In programming, this is not the case. There are so many opportunities if you have the proper experience and training. Unfortunately, the training market is saturated with resources. There are dozens – if not hundreds – of places to find training for any number of programming related careers like software development, web design, and more. The problem with this is it makes things difficult for anyone looking to enter the field. Where do you start? What programs are legitimate? Which ones will actually help you start a career as a programmer or developer? 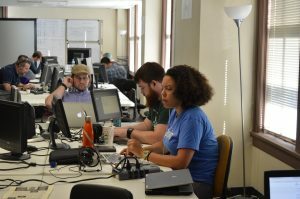 The Tech Academy is an “online code boot camp” that will teach you exactly what you need to become a software developer. The Tech Academy is a 15-week, self-paced software development training program that you can complete online or in-person. They’re based in Portland, OR. The academy boasts a 95% job placement rate, with graduates averaging a salary of about $60,000 per year. In terms of cost, many online code schools offer exceptional value. Depending on whether you pay a one-time fee or a monthly subscription, you will gain access to a host of support options from tutorials, videos, FAQs, community hubs and more. You don’t have to attend a traditional course at a college or University. There are no homework or testing requirements. Instead, you can jump right in and learn a language of your choosing. And with the Tech Academy, you can enroll and participate at any time. You don’t need to wait for the start of an enrollment period. There are no time constraints either, you can work at your own pace. As you can see, the Tech Academy is unique as a training provider in a number of ways, but there are plenty of other online schools out there. This review will help you decide whether it’s the right training for you! The Tech Academy program was founded by two experienced developers, Jack Stanley and Erik Gross. Erik started his career working with the Navy as a nuclear reactor operator; on the side, he taught classes on computer science, nuclear physics, and several additional subjects. Years later, Erik started his own company called Prosper I.T. Consulting, that specialized in software development. He began taking on contracts immediately, and that’s when he discovered he would need junior-level programmers to assist with the projects he accepted. Unfortunately, he also realized there was a general lack of talent to be found, so he started training potentials on his own. This eventually led to the formation of “Prosper I.T. Academy,” where he spent a majority of his time training individuals. From there, the school grew and became what it is today. While they do host local, traditional classes in downtown Portland, the Tech Academy also offers online courses that can be taken remotely from anywhere in the world. Just take a quick look at Course Report and you’ll see Tech Academy has plenty of glowing reviews, but most of them focus on the in-person part of the course. We are going to focus on the online, remote course content instead. All course content is accessible via the main website (learncodinganywhere.com). This is true whether you are taking a local course in Portland, or whether you are attending online from somewhere else in the world. You sign-in to attend the courses and online lectures, and then complete work. It’s just like attending a university or community college course online. Remote students are required to check-in with instructors on a daily basis. This is how they take attendance and make sure you are doing the coursework. But just because this requirement exists, doesn’t mean it’s rigid in nature. You can check in by calling, or using an online tool like Google Hangouts, Skype, and even screen sharing. They also allow you to check-in via email. When you check-in, instructors will discuss the day’s work, and allow you time to ask questions and receive help. What’s also great about Tech Academy’s remote course is that instructors are nearly always available – from 9AM to 9PM daily. So, when you need guidance, they’re always ready to help. Believe it or not, this is not common for online courses and programs. It’s great to see and it certainly helps any student, whether they are struggling or not. The courses are comprehensive, and tailored for the real world. As we mentioned, the primary focus of Tech Academy content is to get you hired as a real developer. While you will be learning new languages, coding projects, developer advice, and more, this stuff is all designed to groom you so you can go out and find work. It’s practical, and that’s exactly what you want to see with a program like this. Each topic – or course – is broken down into modules. At the end of these modules, you will take tests using the learning management system on the main site. But this is done differently than just the question and answer format you’re probably used to. Students are tested by doing what is essentially homework, or personal projects. This includes coding work, essays, and custom content. Once the students turn this work in, it is graded and returned, and this is how they earn a grade through the Tech Academy curriculum. You learn by doing, by taking action. The testing methods are interesting, but they’re not difficult to get used to. In addition, you’ll soon realize while taking the course that they afford you more knowledge and understanding of the topics at hand. You – and the instructors – really get a grasp for how much you’ve learned by reviewing these deliverable tests. And the beauty of all of it is that the instructors don’t just take your work and disappear with it – returning only when they have a finalized grade. It’s a more hands-on approach, where your work – and grade – is translated via screen shares and video calls. The instructors actually sit down with you and review the work, letting you know what you did right and helping you iron out any issues you encounter along the way. It is an excellent system that helps you truly learn the many facets of development. From the outset, Tech Academy courses are primarily focused on the real world. 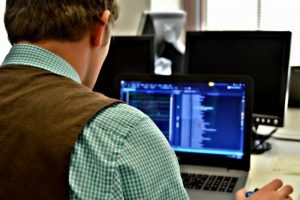 Yes, you will learn a number of computer-related topics and multiple languages – and this knowledge is valuable – but to get a job you’ll need experience. The Tech Academy offers a comprehensive 15-week course – provided you invest 40 hours per week. Before completion, all candidates work on a “live project” which provides a vital experience for potential coders. It’s an exercise that essentially shows you what it’s like to work for a real software development company. Finally, a job placement course will also cover the basics of seeking employment. This includes exploring topics such as professional manners, writing a resume, preparing for interviews, and more. You can see from this the company is passionate about getting their graduates hired. They’d have to be with a 95% job placement rate. These are certainly not the only courses you will take during the program, but they are the most pertinent. Why? Because they show you the true depth and value on offer here. Most training programs – like you’ll find on Treehouse, Lynda, and others – have a simple premise. It is almost always to teach you how to code with a particular language or development tool. It is rare that they also hand you the knowledge and resources to go out into the world and get a job. That’s what makes Tech Academy’s 15-week course so appealing and viable. Not only will you learn how to work with various languages, you will also learn how to be a software developer. This information is crucial to finding a position in the real world. It takes more than just knowing how to code or understanding the basics of development. Each course – of which there are about 12 – is broken down like this. Unlike other course platforms – such as Treehouse – you’ll only be completing the Tech Academy program once. So, in terms of longevity, there’s not much here, but there doesn’t need to be. Once you complete everything, you’ll be armed with all the tools and resources you need to go out and find work. One of Tech Academy’s biggest advantages is the platform managers go the extra mile to help you start a career or business. A whole course in the program is dedicated to this very thing, as we mentioned above. One of the inherent problems with taking remote courses like this is that you don’t get enough one on one time with the professor. Communication can be hindered, as well, especially if you do your coursework at odd hours. That is not the case with Tech Academy’s program. In fact, there’s a full “remote delivery team” to grade projects and work with you via Skype and multiple remote services. They’re always available to answer any questions you may have or help you through a problem you’ve encountered. Many of the glowing reviews explain the teachers at the local academy in Portland are remarkably helpful and attentive, but this is also the case with their online platform too. The quality of Tech Academy’s lessons are superb. But it’s the hands-on approach that instructors have with students that really makes the difference. Because in the end, any lecture, tutorial video, or text-based course is easy enough to sort through. What matters is if you understood the material covered and if you will retain the information you learned. With Tech Academy, the instructors really make sure you take something away from the course when it’s complete, and that’s extremely valuable. For that reason, we feel that the Tech Academy course content is of some of the highest quality material we’ve ever sampled. Because Tech Academy’s program is treated like a traditional curriculum, the enrollment cost is $10,000. But when comparing this cost to the average boot camp you’ll see it’s relatively inexpensive. Most boot camps cost over $11,000 and take only 10 weeks to complete. Tech Academy’s program lasts for fifteen weeks and covers each topic much more extensively. Don’t be turned off by that price, however. There are scholarships, discounts, and credits you can earn to take the course for cheaper. For example, the company offers a discount of $1,000 to any students that commit to studying 40 or more hours per week. The Tech Academy doesn’t just teach you how to write code – it trains you for a real-world career as a developer. Graduates have gone to work for big companies like Walt Disney Studios, Orchestra Software, Hewlett-Packard, Jive, SalesForce, Microchip, Nike, Intel, and more. In addition, you have the opportunity to access extra lessons – which must be paid for – that offer valuable information on SEO, marketing, quality assurance, mobile development and preparing for the MTA (Microsoft Technology Associate) examination. In other words, with a Tech Academy subscription, you can really become a well-rounded software developer. The biggest downside of Tech Academy’s program is that all the resources are only accessible while you’re taking the course. Also, be aware that Tech Academy’s training, while multi-faceted, is primarily reliant on a stable internet connection. If you don’t like learning from videos, conversing via video calls, or your connection can’t handle all of that, Tech Academy is not for you. A coding book may be up your alley, though. If you have any further questions, the best way to get them answered is to contact Tech Academy directly.